The late-1960s conjunction between film and visual art profoundly impacted the way films were made and seen. Artists made movies that explored the process of viewing, the apparatus of the camera, and the nature of the cinematic experience. The best of these works are compelling viewing experiences that still feel radical today. Film Love presents two of the most celebrated works from this fascinating moment in cinema history, in their original format of 16mm film. 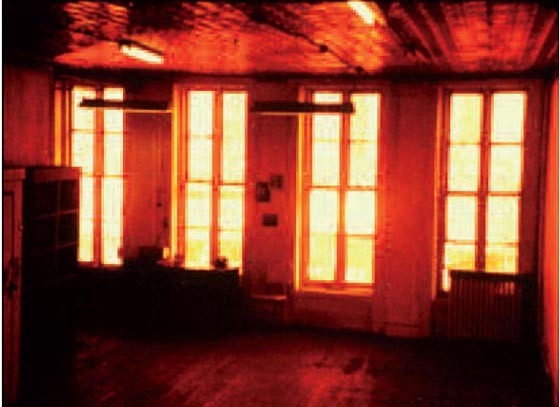 Few films in the avant-garde have generated as much comment, controversy, and awe as Michael Snow’s Wavelength. 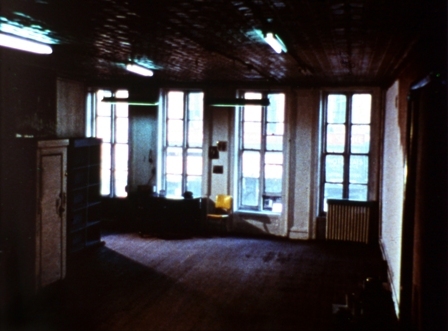 The film takes place entirely in a single room in a New York loft. Over the course of the film, the camera slowly zooms in from the widest setting (the entire room) to the narrowest (an enigmatic photo on the opposite wall). Wavelength’s reputation as a “45-minute zoom shot” contrasts wildly with the actual experience of watching it: Snow uses different film stocks, color filters, layers of superimposition and combinations of natural and artificial light at different times of day to create a visually rich, unforgettable work. Paradoxically, as the zoom narrows our view of the room, the film opens up profound philosophical ideas and challenges. 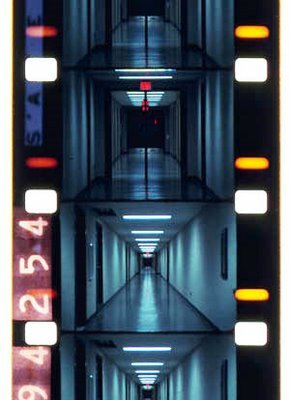 Like Wavelength, the film Serene Velocity permanently established the reputation of its director, takes place in a single space (in this case, a non-descript institutional hallway) and structures itself around the use of the zoom lens. But the two films are as different as could be imagined. Where Wavelength progresses smoothly from the widest view to the narrowest, Serene Velocity begins in the middle and gradually moves in both directions, cutting back and forth between different focal lengths several times a second. Writing in the Village Voice, J. Hoberman called the result a "piston-powered mandala…[of] stunning head-on motion." The film’s entrancing, hyperkinetic visuals transform not only the space onscreen, but the very space in which we watch the film. Serene Velocity is accompanied by Morning, in which Ernie Gehr documents the dawning of a new day – and simultaneously reminds us of how the camera captures light. ZOOM is a Film Love event, programmed and hosted by Andy Ditzler for Frequent Small Meals. Film Love promotes awareness of the rich history of experimental and avant-garde film. Through public screenings and events, Film Love preserves the communal viewing experience, provides space for the discussion of film as art, and explores alternative forms of moving image projection and viewing. Film Love was voted Best Film Series in Atlanta by the critics of Creative Loafing in 2006, and was featured in Atlanta Magazine's Best of Atlanta 2009.